Are you still running ESL mafless? if yes, do you mind sharing a picture of the fuel enrichment and iat ignition retard table? i have no clue how to set them up. 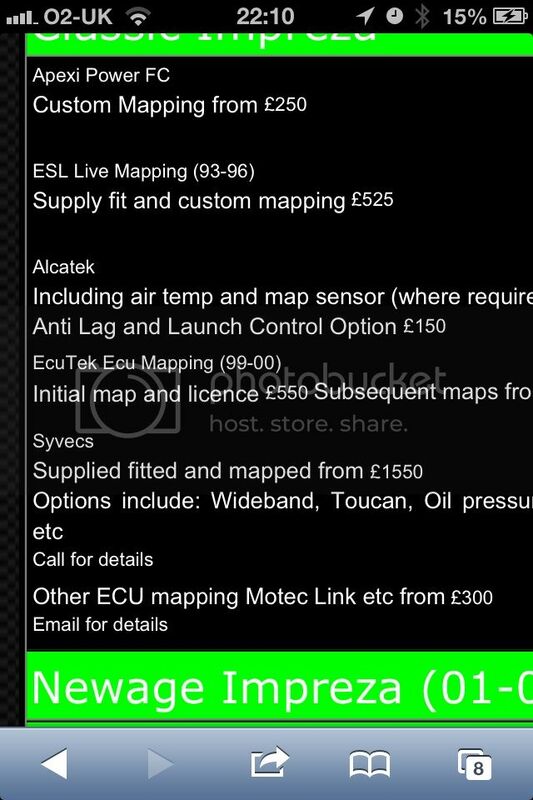 Hello mate hope your well thought I'd pm you instead of reply, hope you don't mind just to gather some info on the ESL iv been on the site and it looks great, I do have some questions though if you don't mind seeing as though you obviously know your ****, does it work the same as an apexi or ecutec in regards to I can take it to any mapper and he can map my car? And does it support any kind of turbo I get because I'm looking to get a td05 16g but if I wanted to change to a vf for example that's ok? Hi rich try this link if I got it right mate . It's done by green monster . If the pic is not right let me no . But 500/600 . Not bad all in. Sent from jays G mail. This site would be boring with out me now. Lol . Still like to get a say in . the odd thing hear and there. But the mapping link I thought I would stay right out of the main topic lol . Do u blame me .